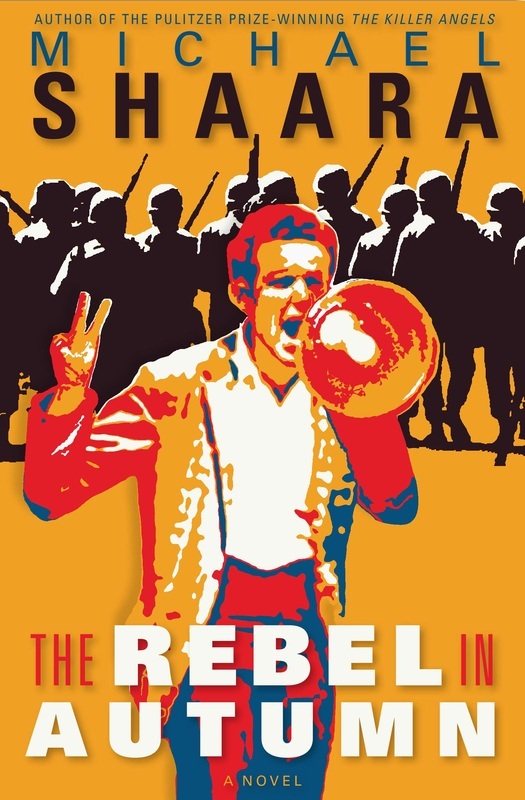 “The rebel in spring is a sometime thing, but beware the rebel in autumn…” states the epigraph to Michael Shaara’s great unpublished novel, The Rebel in Autumn. Shaara wrote Rebel immediately before The Killer Angels (for which he won the Pulitzer Prize), in the late 1960s while teaching creative writing at Florida State University. Loosely based on his years as a professor on the then-small Southern college campus, Rebel is perhaps Shaara’s most fully realized novel. The year is 1968. Unrest on college campuses is peaking, students tune in, drop out and protest everything from the Vietnam War to racism and police brutality while old guard conservatives push back. And at one small southern university, a story censored from the college literary magazine is the match that sets the tinder box ablaze. There’s a simple solution, argues history prof Max Rainer—just publish the damn story and move on. Rainer has more important things on his mind, like his weekend getaway planned with Rona Jackson, the cute sorority girl who sits in the first row. But university president Harry Locke feels that now is the time to draw his line in the sand. He’s read about what’s been going on up at Columbia, and he’ll be damned if anything like that will happen on his watch, no sir. Locke—an undistinguished administrator at the end of his career—has misread the mood of the students, where the seeds of unrest lie just below the surface of a genteel Southern campus. Rainer leads the faculty’s vocal opposition to the story’s censorship, students begin to skip class to protest, and Locke’s closest advisor tells him now is no time to rebel against forces beyond his control. But the battle lines are drawn and neither side can give in. When the administration building is taken over and the students begin a sit-in, that’s when the fires start. And that’s when the National Guard is called in. Rainer tries to keep the peace. But with the agitation of a Vietnam vet-turned-hippie and a recently politicized black music student with a rifle, the stage is set for a deadly showdown. Written just before the fatal shootings of four students at Kent State in Ohio, and then forgotten in a drawer for nearly 45 years, The Rebel in Autumn is now published for the first time anywhere, ready to take its place as one of the great works of American fiction from a time when words mattered. Michael Shaara was teaching creative writing at Florida State University while writing The Rebel in Autumn. He'd already published most of his 44 short stories (mainly science fiction), and his first novel, The Broken Place, was published to great literary acclaim but few sales. Based on an event at Florida State, Rebel was written during the campus protests of the late 1960s. His agent began shopping the book in 1970, just a few short months before the Ohio National Guard shot into a crowd of student protesters at Kent State University, killing four, in an eerie echo of Rebel's climactic scene. And so the book never saw the light of day, although it is a beautifully written and artfully crafted novel. Shaara's next novel, The Killer Angels, won the Pulitzer Prize in 1975; it is a brilliant portrayal of the Battle of Gettysburg that was later made into the movie "Gettysburg" starring Jeff Daniels, Martin Sheen, Tom Berenger, and Sam Elliot among others. A heart attack killed Shaara in 1988 at the age of 59. His son, Jeff Shaara, has taken up where Michael Shaara left off with The Killer Angels, writing bestselling novels of the Civil War, Mexican War, WWI and WWII, enjoying the commercial success his father was never able to achieve.